Yamaha Ray-ZR which was launched less than a year back in 2016 has now been revived with new color options. 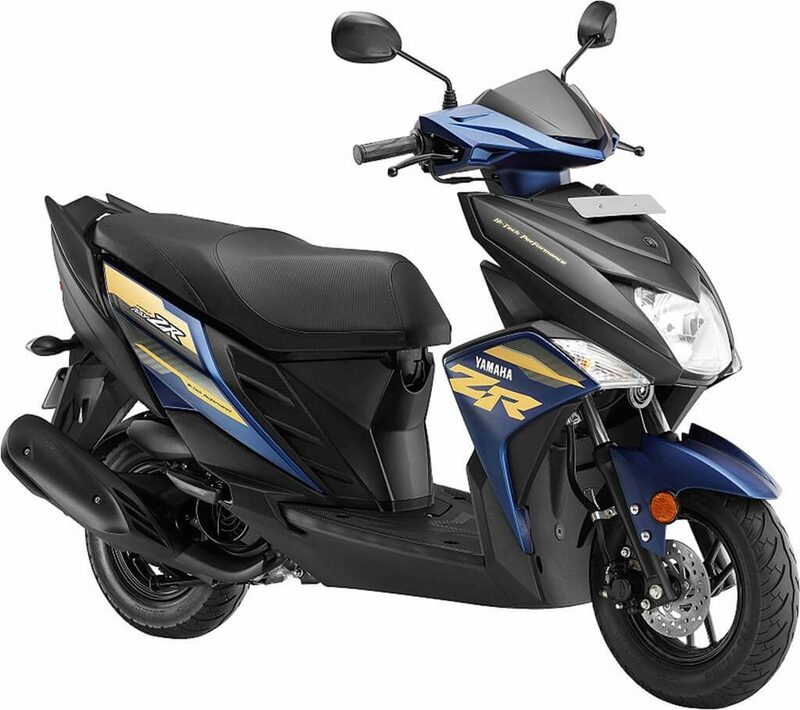 The Ray-ZR was launched focusing primarily on the young generation and hence Yamaha is kind enough to cater to their snazzy needs. 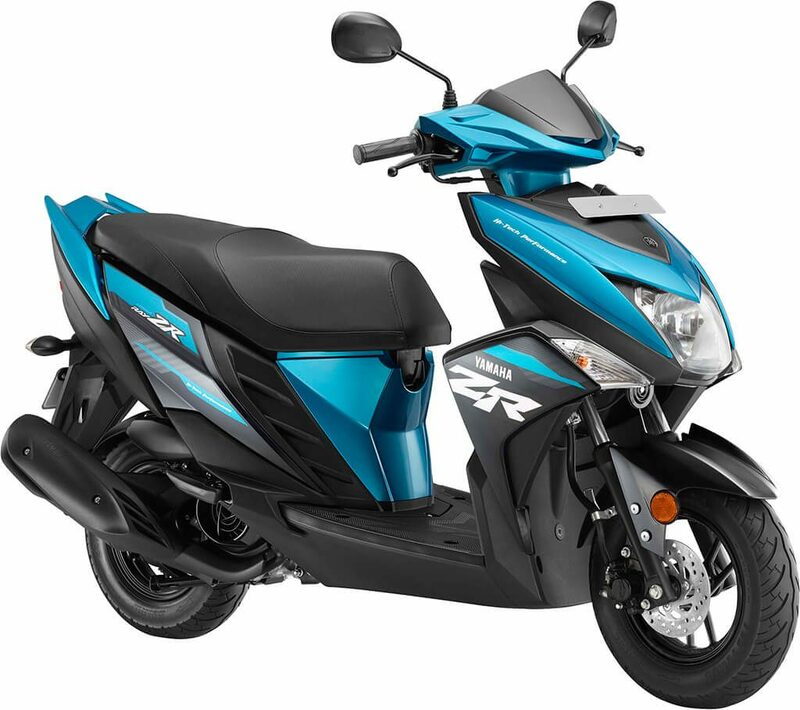 If you are in town looking for a new and cool scooty packed with all the modern features then Ray-ZR might just be the one. Lets check out what it offers. The Ray-ZR looks are uncompromising, take a look at its macho headlights, those swag-wala tattoos and that air tail design of the grab bar at the rear. In the space department, the Ray-ZR gives you large front pockets, and a 21-liter capacity underseat storage area, capable to hold a full-sized helmet. Looking at its rivals, you don’t get that much amount of storage space. You also get front disc brake, alloy wheels, and tubeless tyres something that has already become a norm in all the modern generation scooters. Apart from that, it also has a key shutter locking system, and behold that awesome looking instrument cluster. That is something the boys will definitely be desired for in a scooty. 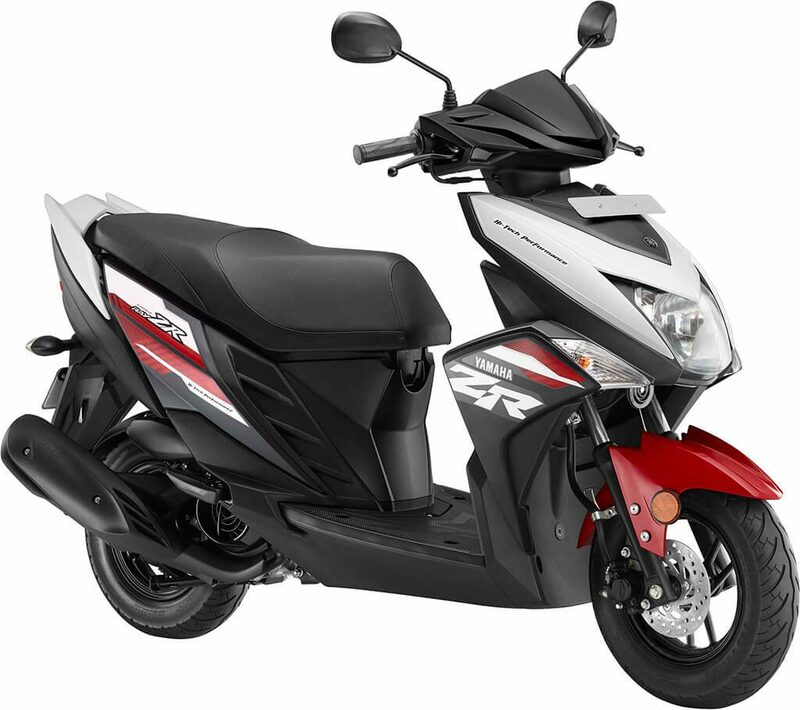 The ARAI mileage of the Ray-ZR is 66 kmpl but as reported by users you can expect anywhere around 40 – 45 kmpl. The Ray-ZR is now available in five new attractive colors – Armada Blue (Disc), Matt Green (Disc/Drum), Maverick Blue (Disc/Drum), Rooster Red (Disc) along with the existing Darknight Edition (Disc). Ray-ZR pricing starts at Rs. 52, 000 (ex-showroom Delhi).